ShopLocket is an e-commerce platform used by hardware entrepreneurs and is also a great resource for entrepreneurs, makers and curious consumers. The team at ShopLocket is visiting downtown Las Vegas for Collision, happening May 13 and 14, 2014. Gwen Elliot says this is the place to be on Monday, May 12th if you’re a hardware entrepreneur and you want to showcase your product. There will be many people to connect with in the hardware ecosystem from around the world and plenty of knowledge being shared. “Also, have a beer (or two) on us!” she adds. When looking to the future of hardware, she says she is personally excited for wearables to become more wearable. Gwen Elliot says the ShopLocket team is hoping for a variety of #VegasTech community members to attend the event on Monday, May 12, 2014. Don’t miss this event! Get all the details and RSVP here. 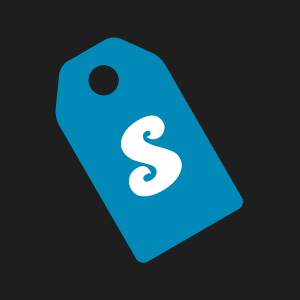 About ShopLocket: ShopLocket was founded in late 2011 by Katherine Hague and Andrew Louis. What started as a simple way to sell from any website quickly grew into something so much bigger. ShopLocket today is a platform that helps entrepreneurs bring their products to life and into the hands of their consumers. We do this through our flexible pre-order solution, shopping cart, and customer management tools. We are also committed to capturing and sharing the entrepreneurial journey through ShopLocket Stories, conversations with hardware CEOs about their journeys as founders, and through launch resources developed in collaboration with some of the most innovative product creators of our time. About Collision: Collision is a new two day tech event run by the team behind The Summit. The conference will bring together 1,000 tech industry leaders and a curated group of early stage startups in Las Vegas this May. Collision takes place on May 13th and 14th, 2014 in The Western Hotel on Fremont St and 8th St, Downtown Las Vegas. Collision will be attended by over 1,000 highly influential speakers, investors and media from the tech industry. There will also be a select group of the world’s Top 150 startups exhibiting at the event through the Collide Startup track.